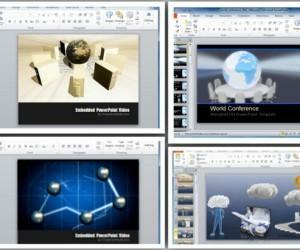 PowerPoint Charts templates are another type of PowerPoint templates that you can use for Charts. You can take advantage of the chart templates feature if you need to customize the template design for your charts, using your own styles and colors. 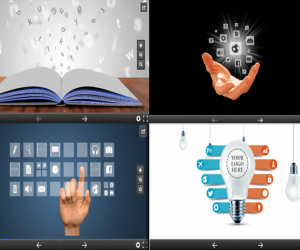 For example, if you are in charge of the organizational PPT presentation design and want to use the organization guidelines for visual identity, then you can save a chart template with your custom configuration. 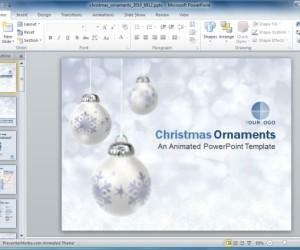 This differ from PowerPoint templates because only the chart properties are saved using the .crtx file format. 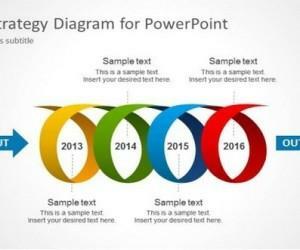 Chart template that can be applied to multiple documents and presentations in Microsoft Office 2007 but also in PowerPoint 2010 and 2013. This file format contains settings for colors, axes, grid lines, categories, legends, text, title, and other chart options. 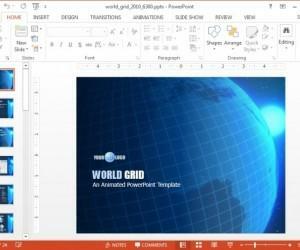 You can use the chart templates in Microsoft PowerPoint to apply the same styles and formatting to multiple charts within your PowerPoint presentations. 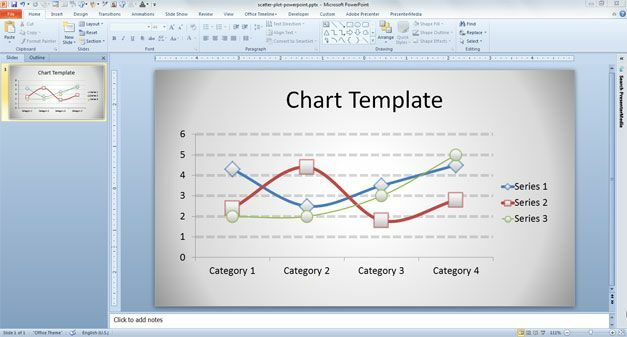 To save a chart template, select an existing chart and choose the “Save as Template” option from the “Design” tab in PowerPoint 2010. 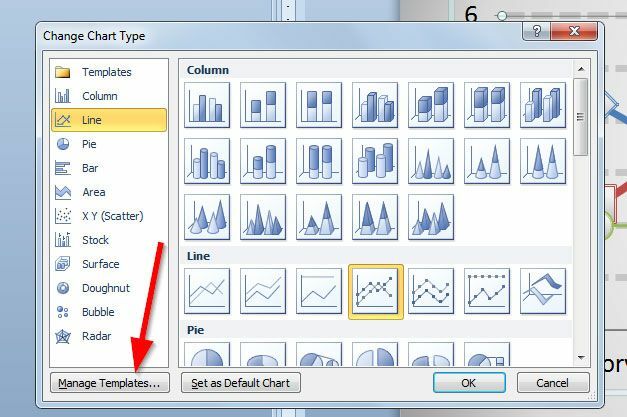 By default, Chart Templates are saved under Charts folder in your personal Microsoft Office folder. 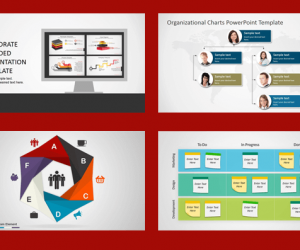 To apply an existing chart template that you previously designed, you can go to the PowerPoint presentation and choose the chart that you want to change the template for. Then choose “Change Chart Type” option within the “Design” tab. Then you will be asked to choose the chart template file. Browse and open the template and then it will be applied to the target chart. If you need to change the template again in the future, notice that in the Change Chart Type dialog you will see a new folder Templates with your saved chart templates. 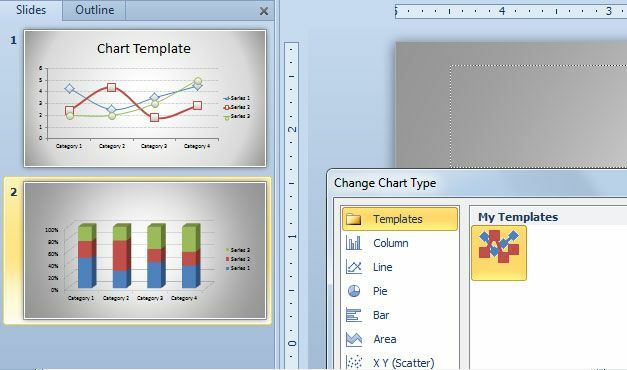 Learn more about Chart templates in the official Office blog or you can download free diagrams and chart templates for Microsoft PowerPoint from this website.